Happy Tuesday, Inclusion Lab readers! We’re back from our brief summer hiatus and ready to give you new tips and strategies to use in your classroom this school year. 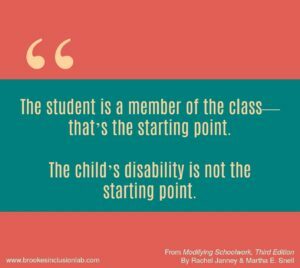 Let’s kick things off with some bright ideas from Amy and Kristyn, two teachers in inclusive elementary school classrooms. 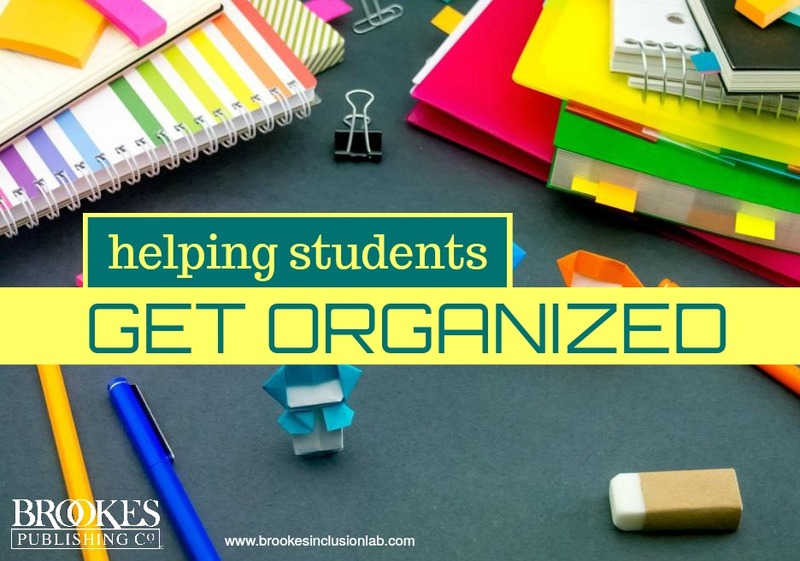 Excerpted and adapted from the book Modifying Schoolwork, this post offers some great, practical tips for helping all students get organized. Third-grade teacher Amy and fourth-grade teacher Kristyn include students with a wide range of abilities and disabilities in their classrooms. To ensure that all students reach their full potential, these two dedicated, dynamic teachers start with universal strategies that support all students and then provide additional supports and adaptations for groups or individual students who need them. Here are some examples of universal strategies Amy and Kristyn use to help students manage and organize their time, materials, behavior, and learning. Included are a few specific ways they differentiate for students who need more support. When students arrive in the morning, a morning message with the day’s agenda and reminders about the day’s special events or due dates is posted on the interactive whiteboard. Some students who need additional supports are given a printed copy to keep at their desk. Students use color-coded folders or notebooks for each subject: blue is for writing and language, yellow is for science, green is for social studies. All students are given a homework folder with the school name, mascot, school pledge, and contact information. The pocket on the left side is for materials that stay at home (e.g., school newsletter, returned assignments), and the pocket on the right side is for materials that return to school (e.g., tests that parents review and sign, permission forms). All students are provided with a weekly planner in which they record homework assignments, due dates, and special events. The teacher writes the day’s assignments on a large, laminated poster that looks like a page from the student’s planner, and each morning, students copy that information into their own planner. Most students complete their planner while sitting at their desks, though some move their chairs closer to the wall poster, and any students who need it are provided with a model page from which to copy at their desks. If more support is needed, a student’s planner might be partially completed by an adult or peer so that the student then fills in the blanks, and highlighters or markers might be used to call attention to certain activities–red for music day, green for physical education, etc. Individualized adaptations and supports might include providing a student with a larger version of the CLASS cue card, adding pictures or symbols, and/or having the student check off steps as they are completed. Steps of the writing process are listed on a large poster and also in each student’s writing notebook and the teacher’s model writing notebook. Students draw “maps” of the inside of their desks to help them keep their materials organized. How do you help students organize their time and materials? Do you have a specific differentiation strategy that’s worked for you? Tell us in the comments below! 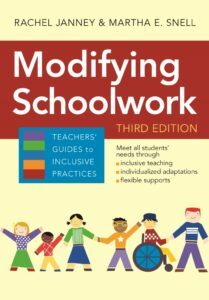 Modifying Schoolwork is filled with quick, practical, ready-to-use guidance on teaching all students–and making appropriate modifications for kids who need extra support in Grades K-12. Get a free excerpt of the book, see the reviews, and read the TOC.